Total Score: 7.92 - ULTIMATE ENTHUSIAST AWARD! 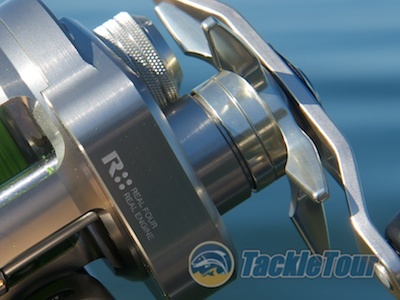 Introduction: We kicked off 2009 with a review on one of our favorite reels to date, the Daiwa Pluton, a very robust, heavy duty reel in a relatively compact package. Intended primarily for inshore use, the original Pluton is also suitable for several freshwater applications which in our case meant tossing swimbaits. It continues to be one of our favorites for tossing big baits. 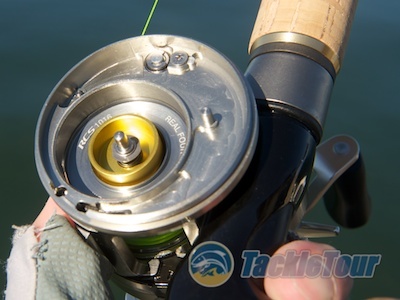 The only downside to this reel is its weight, but considering the purpose for which it is designed together with its casting ability and smooth gears, we overlook this aspect. Still, there are times we wished this reel was available in a smaller package. Well, one look overseas to the Pluton's JDM counterpart, the Ryoga, and you can find just that. 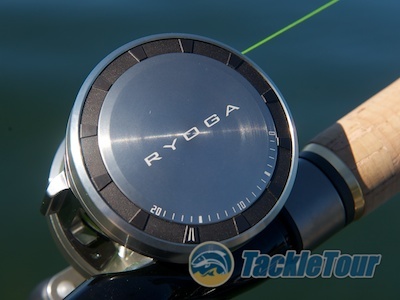 Here's our look at the Ryoga 1016HL. Impressions: Like most of our readers, I had known about the smaller sized Ryoga for quite some time only I resisted ordering one from overseas because the exchange rate has not been in our favor for quite some time. Imagine my surprise when I visited Hi's Tackle Box one afternoon and the staff there showed me this exact reel from their JDM vault. How convenient is it to have a store close by where you can walk in and hold in your hands, some of this coveted JDM gear?! Well, after mounting the reel on a Daiwa Zillion TDZL74XHFB, the exact same rod on which I usually fish my Pluton, it was pretty much game over. 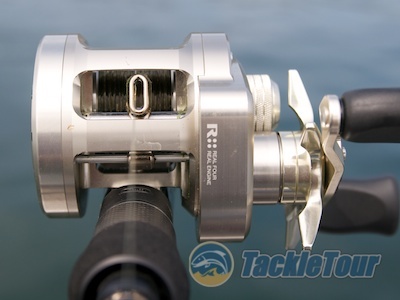 The Ryoga 1016HL is essentially a 100 sized reel sharing the same, attractive, machined frame as the larger Ryoga and Pluton as well as the guts, only downsized. Being a huge fan of round reels, there was no way I was leaving that store without it. 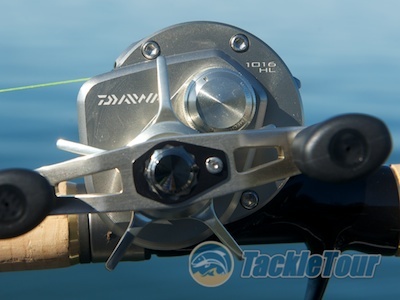 This reel is a Daiwa Japan only model - for now anyway. Field Tests: The very first duties for the Ryoga 1016HL was aboard our Lucky Craft LCMG 761XHF, a rod we reviewed back in July of 2010. We had extra testing duties for that stick and I wanted to put the 1016HL through some preliminary testing to see what the reel was about, so it all worked out rather smoothly. It is available in high speed (6.3:1) and low speed (5.3:1) both in left and right hand retrieve. After that initial trip, the Ryoga 1016HL sort of sat on the sidelines. I won’t sugar coat it. I was extremely disappointed with that reel. The one aspect I really like about the Pluton is how buttery smooth that reel casts and how it casts for distance without much effort. On that day mounted on the LCMG 761XHF, the Pluton’s smaller cousin demonstrated none of that ability. Had I just wasted $600? It sure felt like it. 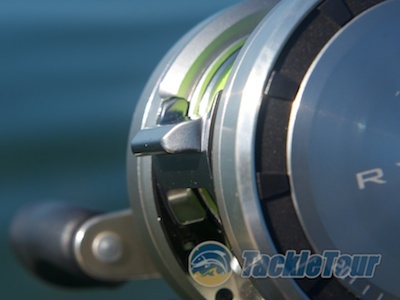 Initial duties for this reel were aboard a Lucky Craft LCMG761XHF. Fast forward a year later and I needed a more robust reel to mount on my trusted F6-72X4 Destruction for some topwater and big bait duties. My Daiwa Zillion Type-R had migrated over to the FX-711X4 Seven Eleven, so the Destruction needed a new locker mate. I opened my reel chest and found the forgotten Ryoga 1016HL sitting there calling out to me for another chance. I figured, why not and pulled the reel out, stripped the line and spooled up with some brand new 14lb Toray Polyamide Plus. The Ryoga is touted as having "Ryoga Mag-Z" cast control. How this differs from standard Magforce Z we do not know. Pitching: Now where I was disappointed with the casting ability of the Ryoga 1016HL mounted on my Lucky Craft Swimbait stick, pitching duties on this same rod were more than satisfactory, so there are no issues with startup on this reel. Granted, because of the heavy duty nature of the LCMG761XHF, I was hardly pitching light stuff, but that’s not what I’d expect of the 1016HL anyway. What I had tied on for this test was a half ounce concoction featuring a River 2 Sea Tungsten Tumbler Weight, Paycheck Baits Punch Skirt and Punch Hook, and a Reins AX Craw. It was surprisingly easy to grip and pitch with the 1016HL mounted on that Lucky Craft stick. 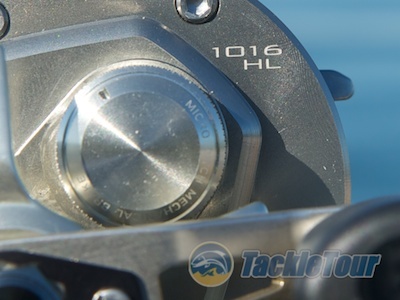 Aboard the LCMG761XHF, we liked the 1016HL's pitching performance better than its casting performance. Casting: My initial casting experience with this reel may have been tainted by the fact the LCMG761XHF is not a great casting stick. Certainly an excellent casting reel should be able to overcome this deficiency, but maybe that was just too much to ask of the 1016HL. We’ve already established in our review of the F6-72X4 that the Destruction is not only an excellent casting stick, but it is an awesome stick for casting duties. Mounted on this stick, the 1016HL’s performance was very reminiscent of the larger sized Pluton. But then, we matched it up with the F6-72X4 Destruction and it was game over. I was putting Mike Bucca’s next generation Bull Shad v2 through the paces with this combo and getting excellent results casting this bait as far as I wanted and then some. On a second trip, I needed a stick to put ima’s Big Stik topwater plug through extended testing in local waters and naturally reached for my Destruction since this was the stick I fished that bait on down in the Amazon. The Ryoga 1016HL just happened to still be attached to that rod so I ran with it. 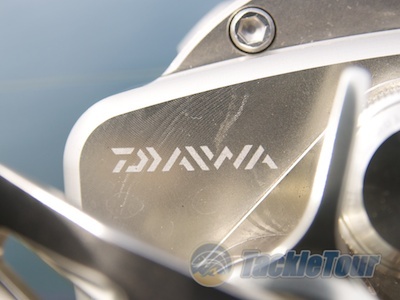 The Ryoga benefits from Daiwa's new digigear precision - a component of their "Real Four" engineering. Matched up with this bait and rod combo, the 1016HL’s casting ability shone even brighter to the point I have pretty much discounted my experience with this reel on its initial journey. Even the thumb bar is a finely machined piece.